In The BBX Investigation, I’ve hinted at bigger things happening behind the scenes. In this post I describe the sorts of things that occur in crooked barter exchanges and detail how the puppeteers pull the strings for personal enrichment. They deceive . . . then steal. There’s nothing new under the sun. I apply this understanding to the BBX business and make estimates on the size of the skulduggery. It’s scary, something that most members (and even other exchange owners) simply do not know and will find hard to believe. All that white collar crooks and crims like those managing BBX do, basically is deceive for personal gain. Put crudely, they lie and the steal. Prove someone a liar and you can be as sure as eggs they are stealing. Catch a thief and you can bet your bottom dollar they will lie. In the barter business, an exchange owner (in a traditional commercial barter business model) has virtually unlimited capacity to do both. Most members have no idea, and CAN have no idea what really goes on behind the scenes. We trust the people with the purse-strings because we HAVE to and they WANT you to. That’s the way the whole thing works – trust. Now the more you can convince people to join the system (even if there is no cost to joining the system) the more you can leverage that to your advantage. 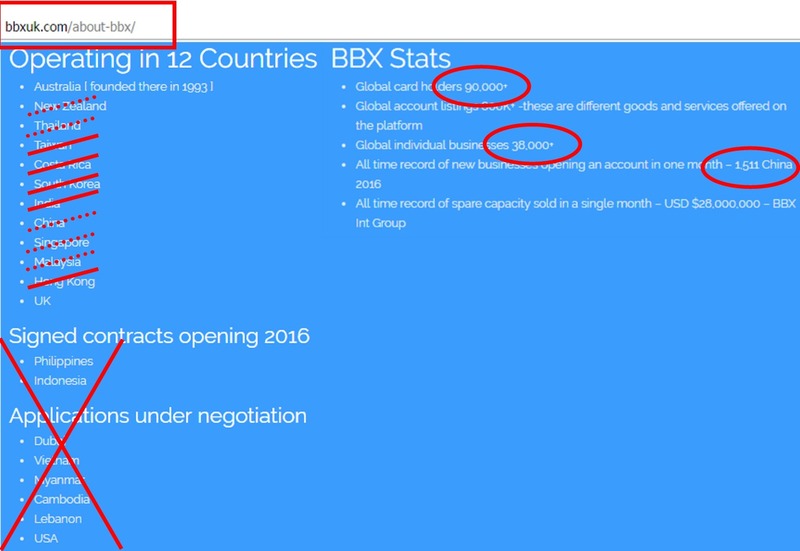 You can see that quite clearly with the BBX UK operations where their marketing materials taking to The Franshise Show and online, incredibly even after my damning expose talks utter nonsense to the sucker punter who will part the readies to be part of an incredible [limited] opportunity . . . blah blah blah as the snake-oil salesmen continue. Let’s take this splurge of fact nonsense for just one example (we’ll get to the biggie of all con jobs, BBX China, in just a moment. Having detailed ACTUAL reality in previous posts we know that this is marketing hype, fabricated and totally inaccurate. Now this is not simply a mistake. It is not simply a result of the founder dying and the team unable to fill his shoes, it is actually CORE PRACTICE within the BBX business and has been for years, decades in fact. We can understand then how deception is used . . . present something as bigger and better than it is . . . even giving memberships away (BBX calls them Ambassador memberships) and even entire country Franchises given away, literally. But why would anyone do this? As I have previously explained it is for leverage. When a ‘punter’ stands at The Franchise Expo and sees BBX UK selling a Franchise in their home town or patch, the whole point of the misrepresentation exercise is to be able to say that they are “in 13 countries”. That’s all the shysters want. Rest assured that when they have a whole bunch of punters with Franchises signed up throughout the UK they will crow about how successful they are and how much part of such a great system in growth with 61 Franchises across the country – well perhaps. I’ve left China out of my blogging thus far because it is a little confusing and is really to be honest just a sideshow. China is a seriously different culture. It has engaged with the West recently but it still retains predominantly Chinese in its ways – surprised? BBX reached into China in two attempts – one under BBX International and the other under a competing system called GBI. Essentially GBI has gone, totally, which was a major loss and embarrassment to BBX International and also to Michael Touma’s legacy. I won’t go into details here because it is irrelevant except for understanding the stupidity of some of Michael Touma’s and his inheritors’ decisions – the bottom line is that BBX got ripped off nicely and there is only their own brand left up there. 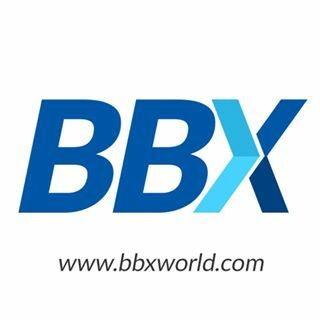 BBX China is the largest franchise within the BBX International group with almost 6,000 members in the database. BBX UK crows in the above marketing hype of 1,511 Chinese members all arriving in one month. Cool! And how do you get those sorts of numbers? Incentives anyone? Social Media anyone? Free memberships anyone? China? Trade? Have a guess . . . Nil? You betcha. It’s a con, one very common in China. Far, far away from the fairyland of BBX UK and BBX International’s spin, the application of simple logic, that not even 6,000 members in a land of Chinese somebody has done something VERY unusual to get 1,511 members in a system. Again the application of simple logic is that 1,511 people had a reason to be listed in a database and there is no way in the wide world it was to do anything to feather then nest of BBX International’s bank account! This is how I know, so you can see how the truth gets out, eventually. One of my informants who has a good knowledge of the Chinese language, culture and market explained that when they went to the Chinese Exchange business show with or for BBX to buy (I didn’t understand that part from them), they found lots of pretty and valuable items on display but samples only. Lots of smiles and order taking. No following up; nothing arrived; nothing traded; nothing sold. China is a front – that’s all! People were paid to show a display item, to take orders and then go home – nothing. The con artists from BBX had been conned, and not for the first time in Chinese commercial history either! The Chinese clearly got ‘friend to introduce friend’ with all sorts of inducements no doubt. Remember it’s all a numbers game. There are LOT of people in China. Six thousand names on a database, even 60,000 names on a database in China is simply not even worth talking about unless you can see real value exchanging hands as people trade among themselves using your system. The Chinese can get conned like anyone can but Caroline MacDonald and BBX will never be able to “break into the Chinese market” in anything that makes one dollar. They are simply not up to the task as can be seen by the total lack of real results. To the marketing machine though, this is all reality. This then is the deception part. Now to the theft. In BBX International, and previously BBX Australia there are accounts in debit and accounts in credit. I’ve already shown that the balances don’t match. There’s a minimum 10% missing out of the system right off the bat even before we look at the quality of the figures – which include bad debts, inhouse accounts etc. The important point though is not that $4m is missing, nor that even $40m is missing; the point is that there is SOMETHING missing, and this is where it gets really interesting for an investigator. We all know that if someone has lied, then they will likely have stolen. If there is even a dollar missing then we can be VERY sure that there will be more missing . . . and probably substantially more, because crooks really don’t want people to see their crimes and try to hide things – eh? Let’s look at Bartercard [again] and then compare that with BBX. In Bartercard’s case it is well known within barter circles that they have a huge trade deficit; always have; always will. One of the biggest in the industry some say. To the best of my ability I assess this to be in the order of around $400m hidden away in pilfering and bad debts. What this does is give the Bartercard elite immediate capacity to pilfer value from the members of $400m BEFORE questions are asked. Consider and add any trade imbalance (members in credit exceed members in debt) which there are, to that hidden debt. Then add in any bad debts (which their are) and you are starting to get the picture – this theft, mismanagement or whatever of the system is bleeding of real value in return for funny money. It’s a principle, simply put that one’s ability to print money is determined by one’s capacity to conceal the associated debt to maintain trust/confidence in the currency. In previous posts I have quoted Paul Bolte, Bartercard’s Mr Good. He is widely recognised in the industry as a ‘good guy’ but if even he says that, in his own words, ” . . . we [Bartercard] are very creative with [capacity to hide] debt [value rightfully due to their members]“ then what hope is there for a level playing field for the members if the rest of the Bartercard team from the small-fry TCOs right through to the ‘Smiles in Suits’ at the top are not ethical and are skilled at misrepresentation? I think they call it “sales” nowadays. Now, to BBX. While Michael was an amazing person, and clearly loved, you can see with the mess the family has left to deal with (huge trade deficit, interpersonal conflict with family infighting, shonky deals, deception of a personal and financial nature and management incompetence) he clearly wasn’t a saint. He had a loyal following who believed his every word but he certainly played the field and took opportunities. If he had run a clean operation, simply putting an experienced operator into the ailing exchange could perhaps have turned it around. Not so, now that reality has come home to roost. The first thing critical to understanding BBX is to understand how White Collar criminals learn to conceal debt. Paul Bolte’s words are they key to understanding this is when he says, “We [Bartercard] are creative with debt’. This is the starting point for a con. Being able to create wealth through creating credit, getting the real goods and services for themselves, and then passing the associated debt with that money back onto the members without their knowledge is the REAL name of the game for these shysters. Then the next challenge to understand is that it is the leveraging of high-value ticket items in a barter exchange using high value items such as property. If you think a barter exchange is all about trading and inter-trading and membership numbers, collecting fees (and even franchises) you are wrong. They are income streams of course and they are necessary for keeping the fires burning but it is the big deals, particularly property where Michael Touma, his family and his cronies made and makes their money. 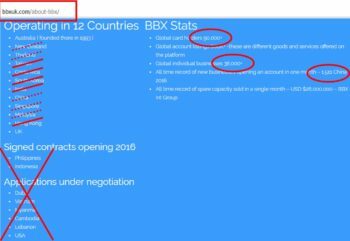 Notice that there are real estate agents and property companies and lots of deals and things relating to property in the BBX management. This is not an accident and it is not innocent. It is because the leveraging of the Touma’s power to create credit was most effective when dealing with big-ticket items. Property is the easiest. All this is simply fact. Now we come to the difficult part – the players within BBX. The staff and insiders all know the real score . . . The Touma family lacked credibility. They fought openly among themselves – husband to wife, sister to sister and with their staff. There was no end of conflict, some so serious that it ripped the family to pieces. Some of this has leaked out in my blogging so far in subtle ways but I have only really hinted at more to come. What is quite unpalatable to say, I now MUST say, even though he has gone, but Michael Touma was an active White Collar criminal who consistently stole value from his own members, presenting himself as all for the members, (rah, rah, rah) but helping himself to the real value within the BBX system. He and his family trusts and companies deliberately, and for a long time presented themselves as squeaky clean but in reality were no different to others lacking morally and given a opportunity, they took it. Indeed Michael shared his inside knowledge with those he mentored and trusted. I know because he trusted me too, to a degree. But the BBX owners and management not only took the opportunities, they created them. Let me be specific here, because it is the key to understanding why the BBX currency has devalued so much and why the members are pretty much all screaming that they can’t spend. They can’t spend because there is no real value in the system and that’s because it has all gone out the back door, mostly in property deals done by the puppetmeisters. There are a hundred ways that this can be done for a hundred different scenarios but basically when you can buy a property with 30%, 40% and even 50% on trade (if the sucker agrees) then when you have unlimited credit available to you and inside knowledge of the deals going down – the deal is a great one! Now comes the ethical part. There is no crime yet. BBX can issue credit as it so pleases. Michael owns the BBX exchange so he can issue credit to himself as much as he likes. Banks do this all the time as we all know. So what do you do with this newly acquired property? You’ve got a property that you’ve borrowed cash from the bank for to the tune of only 50% – 70% and you can convert it into 100% cash. Guess what happens then? You do exactly that, cash convert! Michael and his team did that – and how! This is basic cash conversion using property. If you can also use trade to ‘do it up’ or if you sell it well then you might make a bob or two. Good on ’em I say because they have created value BUT what about the trade portion of the property deal? An ethical trade exchange owner would return the value back into the system. Michael, as I have already explained wasn’t ‘entirely’ ethical. Remember that while property creates huge opportunity, it is Paul Bolte’s explanation that leads us into the White Collar criminality, a murky grey area where investigators and lawyers and taxmen can (and likely will) dig deep into the BBX affairs in due course. BBX has an incredibly high negative Bad Debt Reserve. It has a large number of Touma controlled and/or owned entities in debt to the system plus a multitude of other high value bad debt and when the forensic accountants get their teeth into the BBX accounts they will find a string of crime, my best estimates are well West of $200m AUD, most likely much more. There is another aspect to this all when it comes to measuring reality financially and it is this . . . we can all read a balance sheet. I’ve taken a snapshot of the operations off a snapshot of real data and it shows the losses of real value in the BBX system. But when a system doesn’t balance by $4m, for example, it doesn’t mean that $4m is missing, it means that the system does not balance, which means that something is wrong with the system. This is the kicker . . . it could actually be $120m missing. None of us can never know unless we sit down and get the real figures from the Liquidator or Receiver and believe me it will take time for these dudes to fight through the BS that all White Collar criminals always throw up to obfuscate and try to prevent the inevitable occurring. I can, and do say that large values of borrowings by the Toumas were written off in the BBX system. I can, and do say that many property deals were done where the wealth was transferred from the BBX currency to the Toumas personally. I can, and do say that this can be verified by investigators going back over all the property deals that occurred within the BBX system right back to the beginning of BBX. I can, and do say that there is very likely some very worried people who know that if the game is ever up, they are looking down the barrel of staring at concrete walls. Some members already know that corruption to the level of fraud was occurring at the top levels within BBX. Some were intimately involved and actually DID the deals with the founder and certain members of his family, especially upon his incapacitation and death. Others on the staff, and ex-staff know but are either unwilling or feel unable to speak. With Michael’s passing and the demise of BBX however and the huge exposure from The BBX Investigation, things will change and the details of these many property deals going back many years will all come out into the open, one by one. Of that, I am sure. I’ve had a lot of companies in my time. Over the years you can set something up, change your mind, rename a company or two and sure as eggs you’re going to end up with a problem somewhere along the lines. I’ve had one liquidation in thirty years of trading. Some guy tried to rip me off and I told him to, “Go ahead and bankrupt the company, I don’t care. You won’t get anything!” Like a fool, he did exactly that and got nothing. You can see it in the companies office in NZ if you want to . . . NIL assets and NIL liabilities in the Liquidator’s report. The guy paid for his idiocy with his cash and a waste of other peoples’ time. Likewise in NZ when you let a company go, it reports as struck off. You can pay to have it wound up properly and listed with notice and so on or you can just let it lapse and it gets struck off in due course. I did that more than once. No big deal but I say this because BBX has a string of many companies, mainly in Australia but also around the place. It’s not a pretty sight and smells of trouble. Do BBX Members know the status of the Directors of BBX when it comes to bankrupt or liquidated companies? I think not. It is important and there are some things that really concern me in the Australian Companies Register, ASIC relating to BBX. Michael’s eldest daughter Magali established a company in NZ called Education 2014 Limited. She was the sole Director and Shareholder. In June 2015 it was wound up owing the IRD (the NZ Inland Revenue Department, i.e. the taxman), $76k which was secured and $36k to others who were unsecured. The company was wound up in due course and the Department received just $2,7k out of a negotiated $10k settlement. Interestingly the Settlor however was not the Director, it was “someone else” who bailed her out by doing a deal with the Receiver (Liquidator). That’s what family are for eh? You can read all of this in the reports at the NZ Companies Office online, free. The Liquidator noted delays in receiving the poor [limited] company records. Magali Russo was removed from the Directorship of BBX’s NZ operations replaced by Carolin MacDonald on 9th of January 2017, back-dated to 1 January 2017. Carolin repeatedly refused to answer as to why, when I asked her. I think you can see why not, now! My guess is that this probably related to property in New Zealand. Some of us think we are above the law. Here then is a prime example of the sort of people you are dealing with who are running a trade exchange that has the potential of handling thousands of members financial data by way of the BBX systems and currency. Deceive – lie. Crooks are always the same! In my next post I detail the process of winding down that BBX is currently undergoing. I explain how this occurs generally with six examples of barter failures around the world and then get specific with BBX. I then describe the process of mopping up – explaining who the winners and losers will be. In following posts I will summarise The BBX Investigation, make an announcement and change the direction of my activities, things that will all likely rattle a few cages for the BBX crooks. Standby . . .